Throughout May, Selfridges are running a programme titled ‘The Beauty Project”. There will be various talks, events and engaging beauty experiences set in order to make us question our own definition of beauty. 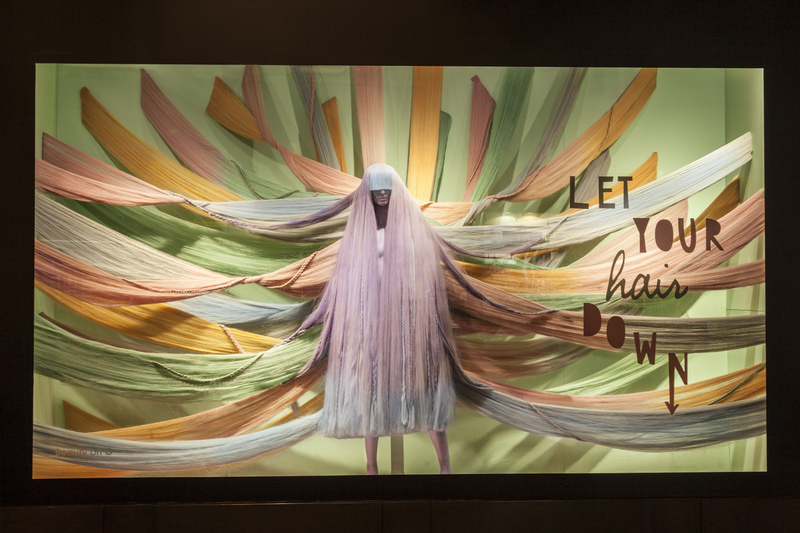 Madame Peripetie was commissioned to design and implement one of the store’s main windows, featuring three metre hair which was hand-dyed with chalk in various shades of pastel. Madame Peripetie spent a week prepping the project along with six assistants. The installation took place over three consecutive nights with hardly any sleep. The hard work paid off and the images above show the finished piece. 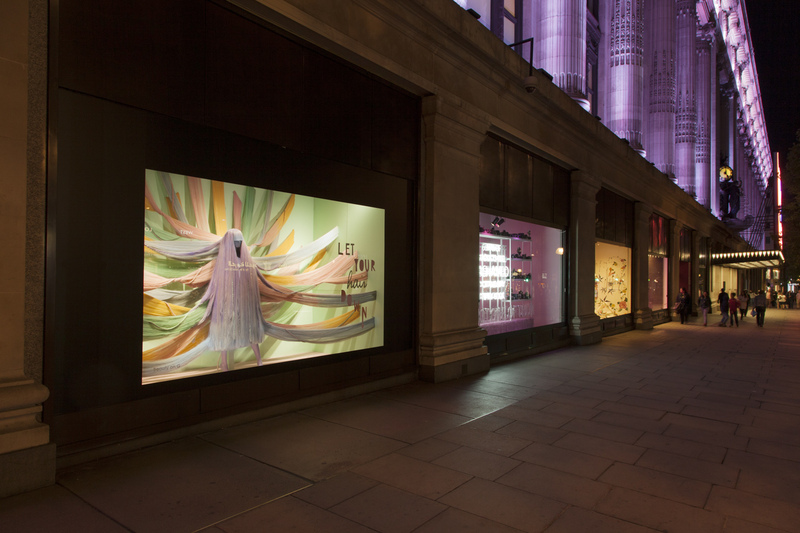 Head over to Selfridges on Oxford St. to see the window in the flesh. It looks fantastic at night.